These slushies have been all the rage in the Oprish house these last couple of weeks. We are addicted! A perfect blend of tart and sweet and refreshing to no end. I love that they are sweetened with agave and they really are such a cinch to whip up! Thinking these would be a perfect addition to a 4th of July menu, too….they just scream summer! Place all ingredients into a blender and blend on high until they’ve reached a slushie consistency. Serve immediately. 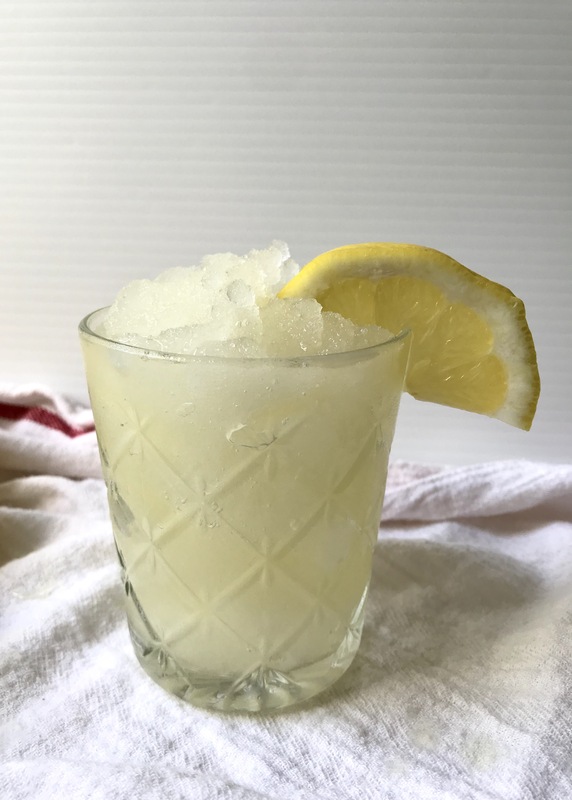 Because it’s supposed to be 103F today, I’m salivating at the mere thought of tasting this refreshment! Do you think you could you substitute honey for the agave? Great question! You can certainly try. I chose agave because it’s more of a think liquid and blends nicely into the slush is. I would worry that the honey may be too thick and harden with all of that ice..but it’s worth a shot to see!